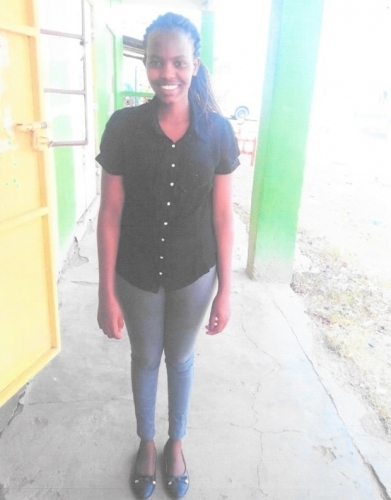 We have now heard that Mellanie Peeyian Rianto, the student the Club sponsored through 5 years of high school has been enrolled in the Kenya Medical Training College in Nairobi where she will complete a Diploma in Clinical Medicine. This is an impressive achievement for a Maasai tribesperson from a small rural village like Kimulka and RCWE is proud to support Mellanie in her course. We all wish her every success. 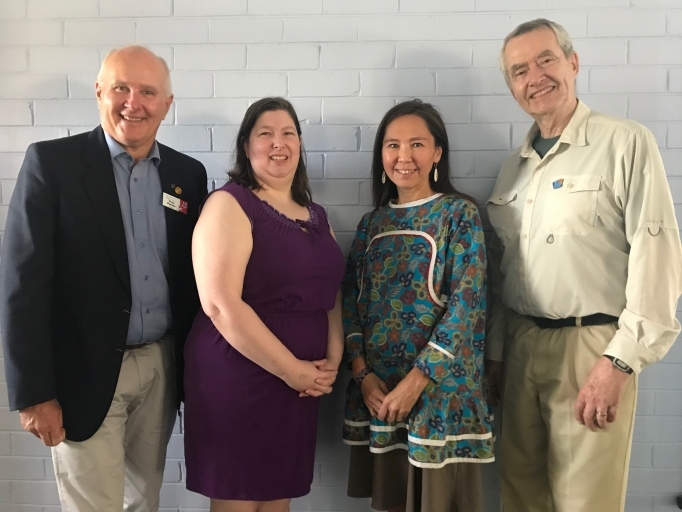 RC Western Endeavour hosted members of the visiting Alaskan Vocational Training Team (VTT) to our Club meeting on 2 April. The Team comprises Mr Michael Jeffery Retired Superior Court Judge & Team Leader (Rotarian), Ms Marilyn Pierce Bulger Family Nurse-Practitioner/Certified Midwife Coordinator/Medical Manager for the Anchorage FASD Diagnostic Team, Tami Eller Bachelor of Science in Criminology and Psychology Clinical Supervisor-Treatment Foster Care Program, Monica Mae Charles Bachelor Education (Elementary Education) Guardian ad Litem, Office of the Public Advocacy President (2015- present) Association of Village Council Presidents (Bethel Alaska) & Dr Pam Hill Fellow American College Obstetricians and Gynaecologists and Fellow American College of Surgeons Retired -Volunteer specialist. We were fortunate to have Michael, Tami and Monica visit our Club and speak a little about themselves. Michael presented President Tony with the banner from his Rotary Club, Barrow- Nuvuk- check out its Facebook page. The Team are here to share experiences with addressing Foetal Alcohol Spectrum Disorder (FASD) with our experts here, and club member Bruce Dufty has been instrumental in bringing the Team to WA. They will be speaking at the District 9455 Conference in early April. This Week's Speaker is David Piesse who will speak on the topic "The Thai Burma Railway"
...And Next Week's Speaker is NO MEETING who will speak on the topic "MA"
Today’s talk was by Rotarian Max Bird of the Kwinana Club who reported on his visits to East Timor between the fourteenth of August and the tenth of September of this year. The Rotary Project Timor-Leste.East is a project which we support. Its aims are to provide clean water to the people of Timor-Leste. Max first visited Laga where a downpipe from the roof of the Laga orphanage to a water tank was installed. Max told us that the surplus water from the system is now utilised by the sisters to grow vegetables. Next was a visit to Baguia Maternity Hospital which had not had a potable water supply throughout its 5 years existence. Here new gutters and 100mm downpipes to 4, 10000 litre tanks were fitted. At Gari-Uai a two-stage pumping system was installed. This required a three-phase electric supply to be installed by the local people. Bolena was not visited as the solar system had been sabotaged. It is believed the solar panel is being held by the Suco Xefe (chief). This will be investigated later. Max also visited Afalari to inspect the school. Here a slotted pipe was installed in a spring together with a 200m pipe to a 2000 litre tank at the local Community Centre. Max also had the pleasure of attending the first mass to be celebrated by Father Jacinto, who was supported by his Bishop and other priests. Fr Jacinto is a local man and over 1500 people attended the ceremony including 150 school children from his home village. These children had walked for 9 hours across the mountain to be present at the mass. It was significant that no bottled water was consumed; all water drunk by the crowd came from the new supply. Max also met with the Governor of District 9550, Robert Tardiani and his wife Sue and Governor Bruce Lynch of District 9465. Baguia is a small town of 4000 inhabitants and it is proposed to install a 40mm pipe from a reliable spring to the town. The source is 524m above mean sea level and the town is at 443m. The distance is 3.5km and the feed will be by gravity. Max suggested that this could be a joint project of Districts 9550, 9465 and 9455. Max concluded his talk by thanking the Club for our support and listed other clubs who had joined the water projects. The talk was well illustrated by informative photographs.